The final season of the massively popular fantasy drama, Game of Thrones, has begun, and to celebrate, Sony's doling out some freebies for those in North America. 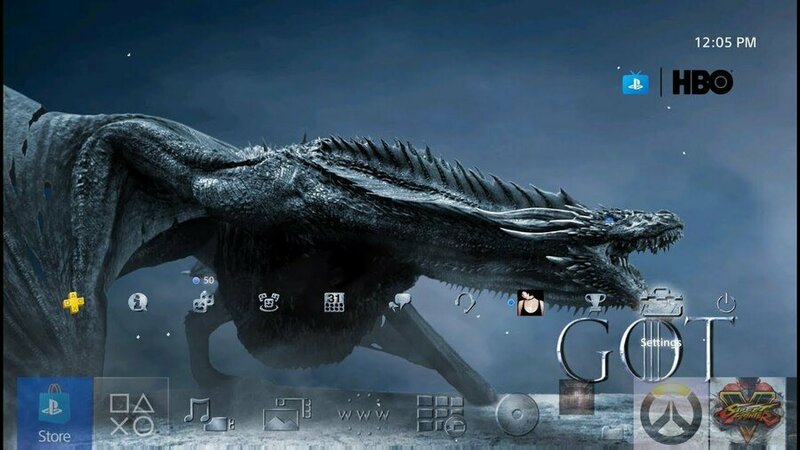 In addition to the recent celebratory God of War goodies, you'll be able to get your hands on a dynamic PlayStation 4 theme and avatars based on the HBO show. However, you'll have to jump through a couple of hoops first. Visit this website and sign into your US PlayStation Network account. Scroll down to find each of the three rewards and an accompanying video. All you have to do is watch each one. When the videos are done, you'll see your redemption codes, which you can either enter on the PS4 itself or click 'Redeem Here' to do it on your device. There's a nifty theme based on the two dragons, as well as a bunch of avatars featuring the characters and house sigils. These items are only available in this promotion for a limited time, so grab yours soon if you're interested. Will you be picking these freebies up? Are you excited for the arrival of more Game of Thrones? Look out for spoilers in the comments below. That would look nice on my European PS4 as well me thinks! I want the dragon one. Sorry when I posted it in the forums I didnt know it was US only. Fun avatars though. US only? Cerseiously, Arya having a laugh? It's not fair. Especially as most of the cast are British and a lot of the filming is even done here. I've watched all three videos but there are no keys available. That Dragon theme is awesome!...oh wait,US only..
@uMuffin Did you watch all three videos? I got all the stuff with no problem. Try refreshing the page. Never watched the show. First book was pretty boring, though. I'll do like I did with Harry Potter and Pirates of the Caribbean and wait for public fervor to die down before I get into it. @kyleforrester87 Newfangled Dragonlance, I guess. I managed to redeem them on my American account, I've got the dragon theme displayed on my main UK account now. How do I use the avatars that were redeemed on the US account?